For over two decades now, we have focused on just one thing – moving vehicles as efficiently, easily and safely as possible. When developing our new model, the focus has been on ergonomics, safety, and creating a high-performance machine in a smaller format. The Stringo S2 is intended for those seeking a reliable and flexible vehicle mover. The machine has everything you need to move vehicles weighing up to 2 000 kg efficiently. In common with its larger siblings in the S range, this model has a modern design, making it easier to move vehicles indoors. 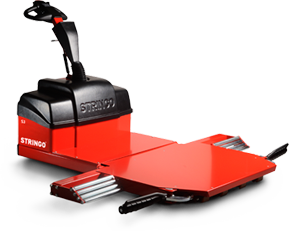 The Stringo S2 is the natural aid to small and medium-sized businesses, dealer showrooms, workshops, private collectors, etc., where fewer and shorter moves of lighter vehicles are required. 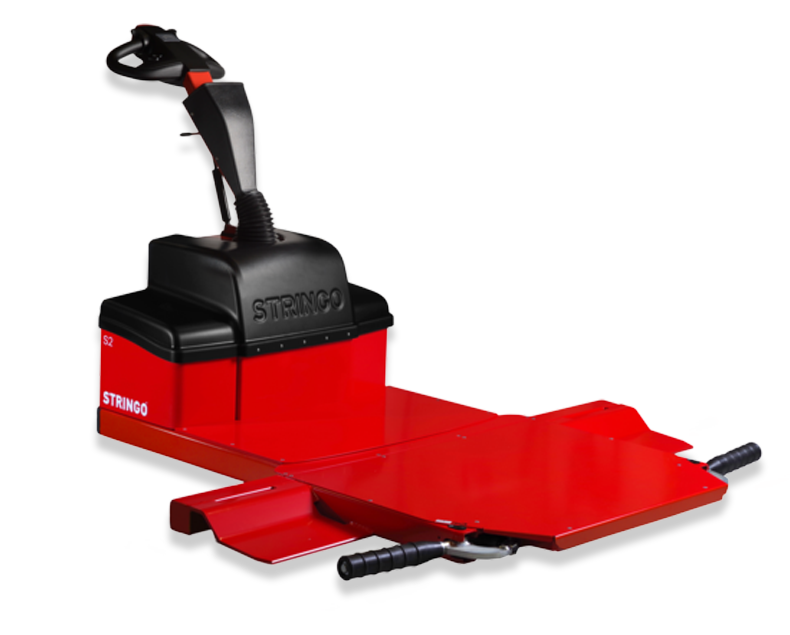 The Stringo S2 has an operating time of five hours, improved ergonomics and greater safety for both the operator and the vehicles you want to move. The low drive unit provides excellent visibility during both loading and unloading. 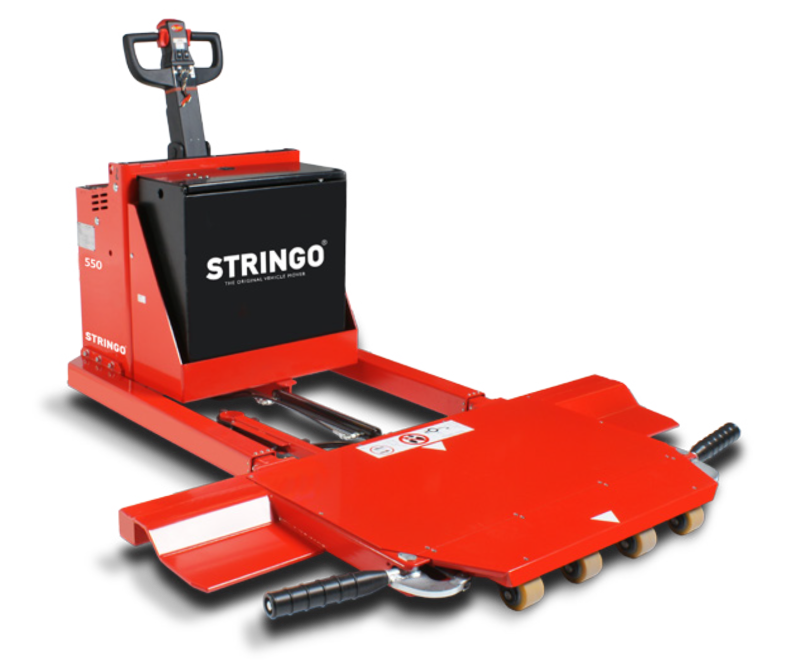 Thanks to our various add-on options and customizations, the Stringo S2 is a versatile machine with big possibilities. We have put all the regular maintenance information in one place to facilitate servicing and maintenance. Looking after your Stringo properly should be problem-free. We never leave anything to chance and the Stringo S-series illustrates that clearly. The throttle and brake are controlled with the same lever. The brake is activated when the throttle lever is released. Minimal turning angle when using a ride-on platform. Multiple control lever settings mean it can be adjusted for every single operator. Our machines are hand-made and customized for each recipient with commitment and great focus on the customer´s wishes.